Minister for Industry, Trade and Tourism, Premila Kumar says they recognise that there are difficulties that Fijian exporters face when they enter Chinese market. She says there is high tariff for Fiji made products unlike for New Zealand or Samoa. Kumar says when New Zealand and Samoa export Noni products into Chinese market, it goes in duty free however when Fiji exports its products into Chinese market, we attract 25 percent duty. She says this is happening because New Zealand has entered into free trade agreement with China. 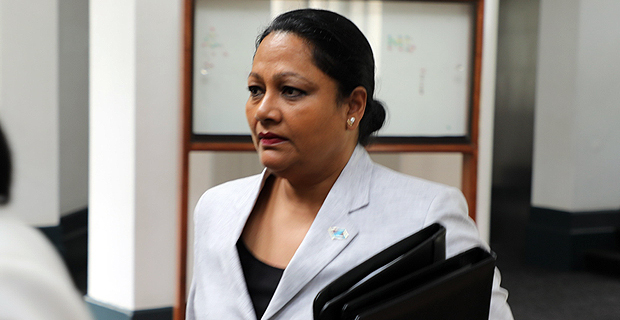 Kumar told parliament that the final report in relation to the Joint Feasibility Studies conducted by the Governments of Fiji and the Peoples’ Republic of China on the proposed Free Trade Agreement is with her Ministry. She says this report will be submitted to the Cabinet to seek direction so that the technical team can start negotiating the recommendations that were listed in the report. Fiji’s current exports to China is around $97.6 million. Kumar says with the establishment of Fiji Trade Commission in China, Fiji has managed to introduce new products into Chinese market like bottled water, beauty products and beverages. She says they have also managed to attract investors from China in the manufacturing sector where they can produce some of the products and send it back to Chinese market and one such example is Noni tea.